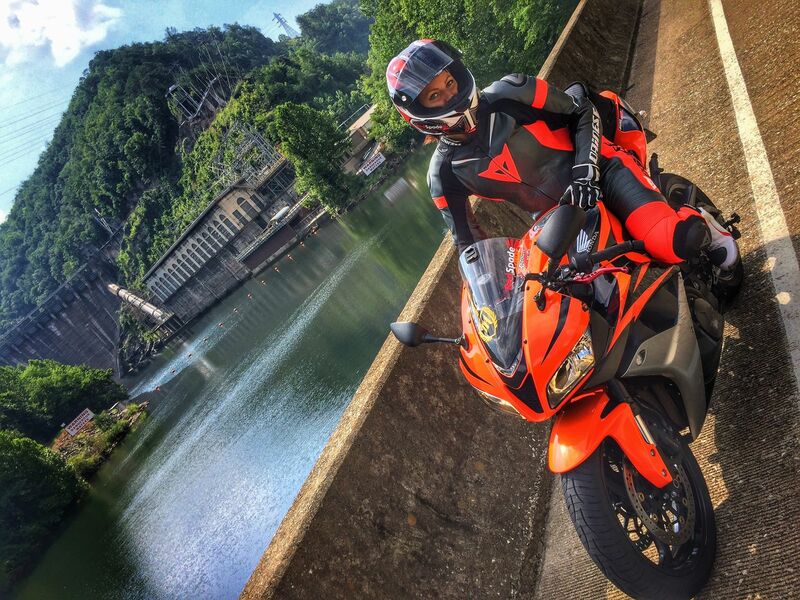 RedSpade, as she is called, is a motorcycle journalist, photographer, racer, and so much more. 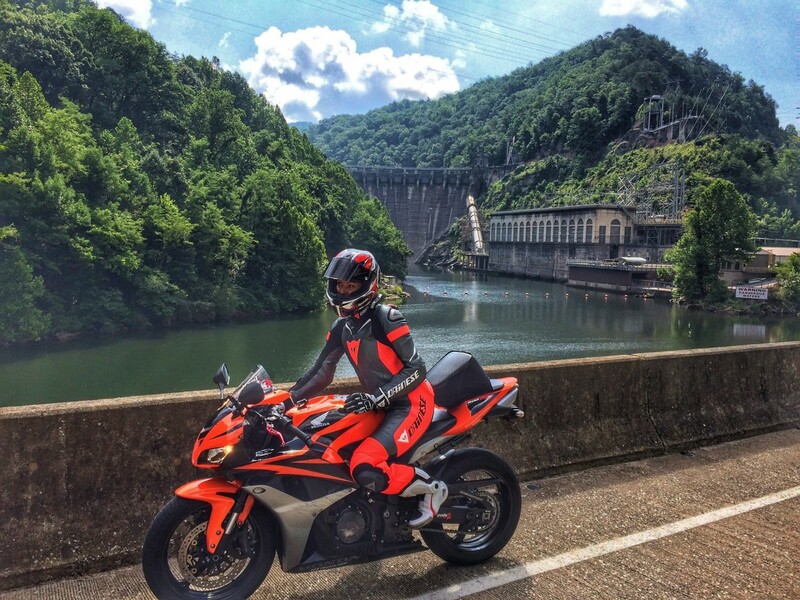 Recently, she took a two day road trip riding roughly 18 hours through some of the South’s twistiest roadways on her 2008 Honda CBR600RR. “I took highway 60 from from route 19 (Georgia) all the way up to 68- Tellico Plains, Tennessee. From there we traveled East to 129 into North Caroline where Tapoco is via the Tail of the Dragon. We stayed at the Dragon Inn resort which is really close to the dam you see in the pictures. We also traveled along the Blueridge, 28, Cherohala Skyway and a bunch of other very gorgeous roads that I can’t even remember.” It’s easy to forget exactly what roads you take when you get wrapped up in the perfection of the ride. The Tail of the Dragon, aka the Dragon’s Tail, route 129 is a notorious road for motorcyclists and sports car drivers. It has 318 curves in 11 miles, and is known as America’s number one motorcycle and sports car road. On either side of you sits the Great Smoky Mountains and Cherokee National Forest, with no intersections or driveways. Follow her on instagram @RedSpade and her website RedSpadeRacing.com. Welcome to my backyard. For you adventure riders , nearby “parsons branch” road is a 8 mile gravel road that spills out on the dragon. The start of PB is in Cade’s cove. 19 creek crossings. If on bike I would not do it during a heavy rain as water can be fast and knee high. The crossings are cement. I recommend this primitive trail to all. Cars will bottom out, a small two wheel drive truck is minimum for a bit of clearance.